Saturday August 18th & Sunday August 19th. Sip In The Park! 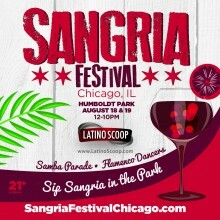 Taste Over 20 Flavors Of Craft Sangria! Eats, Live Music & Sip In The Park! Stylish Snap Shot at the Photo Booths.